In a large frying pan over medium high heat; pour in the oil and heat; spoon in the minced garlic and sauté. Add rice and fry until rice is no longer white. Pour in chicken broth and add curry powder and stir until mixed in. Let broth boil for about 2 minutes. Add almonds stir to mix in. Now add vegetables, but do not mix in. Put heat on low and place lid over skillet. Cook 30 to 45 minutes or until rice is cooked. 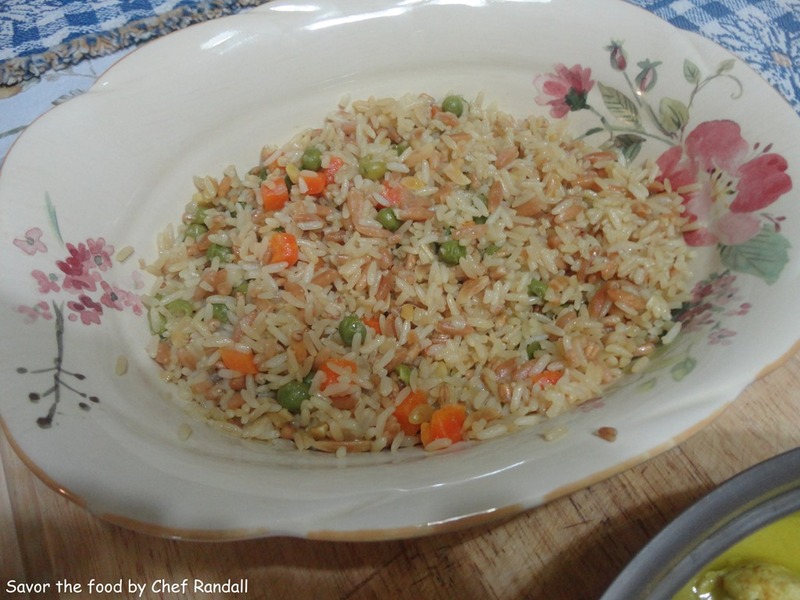 Remove from burner, mix vegetables into rice. This entry was posted in Side Dish and tagged Broth, Cook, Curry powder, Garlic, Olive oil, Rice, Sauté, Vegetable. Bookmark the permalink.